It has been written before that many Product Managers have became product manager by accident. Many of us had a trade or area of expertise but woke up one morning and realised we were now Product Managers. This is a good thing. What an awesome way to spend your time and creative juices. But, what to do when you want to continue your career progression in the field of Product Management? Say hi to Parity Consulting. Product Management is done differently in almost every organisation. It is not the kind of job function you learn about at university despite it being so critically important. Some organisations have invested in the job role well over the years getting staff professionally trained and implementing business processes. However, most organisations don’t have that level of maturity and Product Managers are often on their own. They do not get to collaborate with other Product Managers and typically they report into the organisation through other specialised functions like marketing, development, sales or business operations. So where does a Product Manager go when they want to grow? If the organisational structure does not support career progression, where do they look? Of course you can take career progression into your own hands and review the options on Seek. 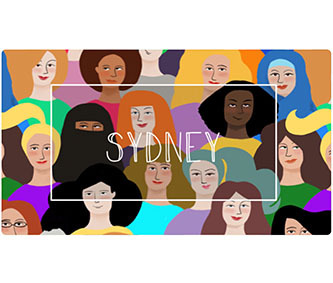 Product Management is a mature enough profession in Australia today to support a choice of open Product Management positions on Seek. This works when the positions are advertised externally. However, according to research from Parity Consulting up to 40% of job placements are made passively. Which means you may never hear of those career options through job advertisements. To get to that 40% of untapped opportunity you are going to need some help. Parity Consulting is an industry specialist in Product Management, Marketing and Communications recruitment. The team knows how to get to the full market of available positions, specific to Product Management. Product Management is a very specific job role. Its uniqueness within organisations, coupled with a variability from company to company means that oils ain’t oils when it comes to Product Management vacancies. Parity’s in depth knowledge of the profession and who uses it for competitive advantage means they have a unique ability to match Product professionals with organisations that share similar values. Even if you are not readyto move in your career, it’s still beneficial to connect with Parity. They offer additional information and services to both professionals and employers, to developthis niche industry in Australia. This is where Parity and Brainmates share a common goal: both organisations run continuous information and networking activities to support the development of the Product Management industry. Why not connect with Parity and join in the conversation? Open positions are regularly posted on Twitter and Facebook. 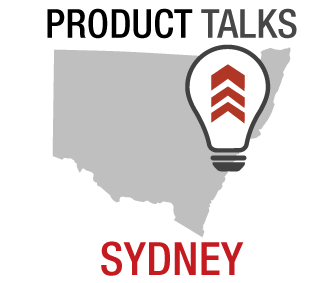 Most of us know about Leading the ProductSydney event on the 25th October 2016. Several other members of the team will be there on the day as well. Keep an eye out for the Parity team when you are there. They are keen to meet new people in the Product Management professional community. 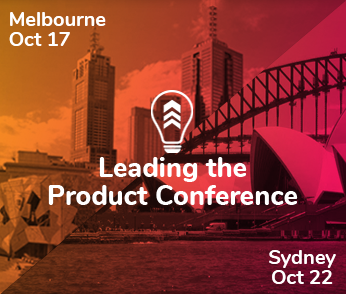 Victoria and the crew are excited about meeting new people at Leading the Product in Sydney and Melbourne. So much so they want to have a bit of fun. You have the chance to win 2 bottles of beautiful French Champagne. Have a picture taken at the Parity Photo booth at Leading the Product in either Sydney or Melbourne. Hold up a sign that shared youroriginal quote stating why you love your workplace. (Quote boards and chalk will be provided). Post it on Twitter and/or Facebook and include the hashtags #paritylove and #ltpconf. Someone from the Parity team will be announcing the winner during the afternoons of both the Sydney and Melbourne Leading the Product conference days. 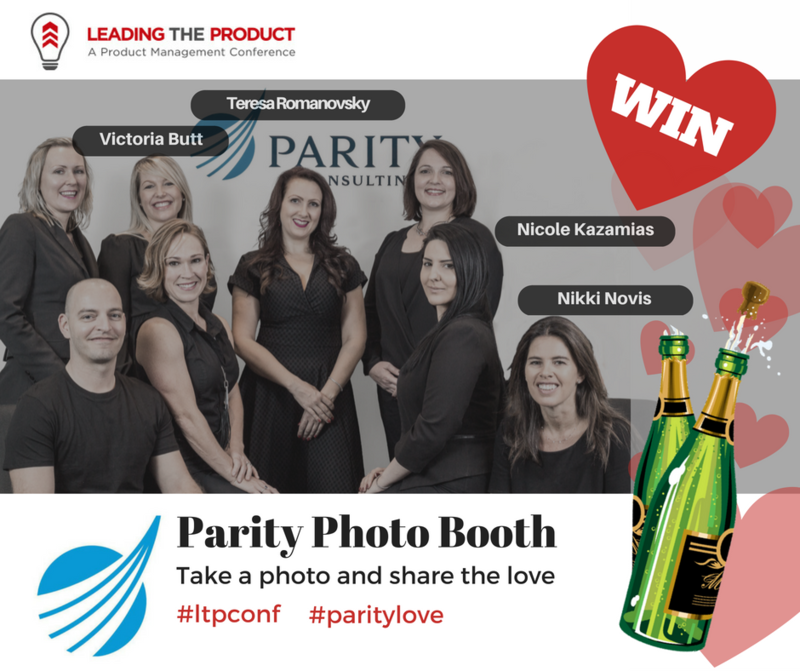 So make sure you say hi to one of the Parity team at their photo booth at Leading the Product this year. Take a photo, share some love and have some fun for your chance to win.